2016 was a wild ride, to put it gently. And let's rip this Band-Aid now: 2017 isn't shaping up to be much calmer. Amid massive geopolitical shifts at home and abroad, New York's real estate market has also been somewhat more volatile than usual. 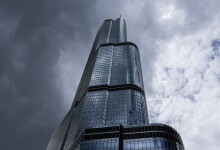 After years of non-stop price hikes, the last year finally saw a slowdown (code word: "softening") at the top of the luxury sales and rental markets, while everyone in more down-to-earth price brackets continued to battle it out for reasonably priced housing options that are few and far between. And there's plenty more drama to look forward to in the next year, with a president-elect who has taken over Midtown, a flood of concessions in the rental market, the never-ending fight for affordable housing (and the 421a tax abatement), zoning battles galore, L train and streetcar plans shaking up the outer boroughs, and oh, a little mayoral election on the horizon. So no, the next year may be a lot of things, but we don't expect it to be boring. 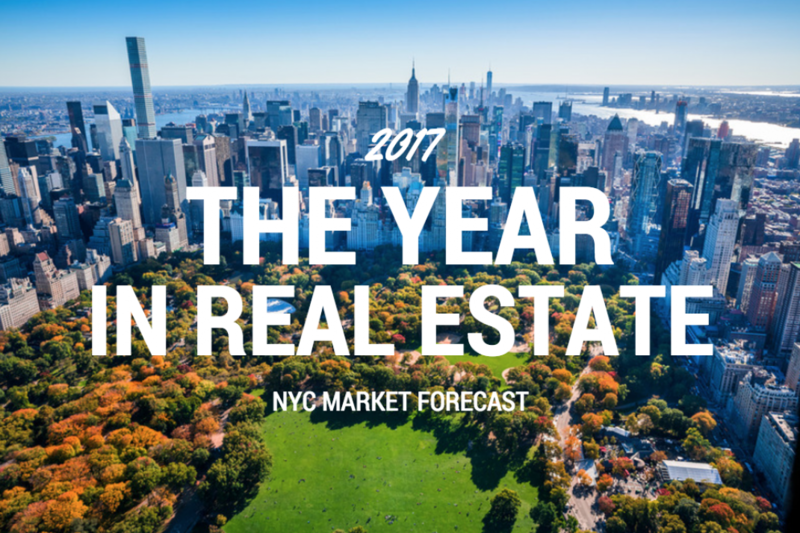 Though New York City's sales market is still one of the most bustling—and reliable—markets in the world, 2016 did see buyers tapping the brakes, particularly at the higher end, which has been faced with a boom of new development inventory. "There are so many different markets in Manhattan, it's very bifurcated," says Compass broker Julia Hoagland. "The luxury sector is of course very soft. Right now, inventory isn't as low as it was, so buyers don't need to say, 'Oh my god, I want it, I'm going to pay whatever I need to even if it doesn't make any sense.' But apartments that are priced appropriately, we've been able to sell." Translation for sellers: Now's not the time to set a new price record for your building or neighborhood, if you're really serious about getting your property off the market. "If you signed a contract in late 2014 to May 2015, chances are, if you bought then you can’t get back what you paid if you sell it right now," says Noah Rosenblatt, founder of real estate analytics site UrbanDigs. "Buyers have some serious negotiating power right now." Still, after a market dip in 2016, most experts don't expect prices to drop much further, but rather, to stay put, or edge up slightly. "I don't think that the market from this point is going down, though next year's market reports, which reflect deals that happened in 2016, will show a decline," says Rosenblatt. "But I think the correction already happened. Buyers are starting to get a little bit of leverage and it’s a significantly more normalized market today than it was a year and a half ago when sellers were in complete control." And even after a generally sluggish year for sales, the last stretch of 2016 saw a spurt of activity from buyers who had been hedging their bets until after the election. "There's been a bit of release of pent-up demand from people who would have bought in August or September but were waiting," says Miller Samuel appraiser Jonathan Miller, "But it's important not to mistake that for reinvigorated demand." While the high-end new development market might remain sluggish over the next year (condo investors at this level are reportedly struggling to even find renters), expect more activity for regular resale deals, but not much in the way of price growth. "I think resale activity is going to expand slightly in 2017, because there's more inventory, which enables sales, and also tempers price growth," says Miller. "There will be more activity, but a moderate or flat direction of pricing. It's normalizing." This means that after years of seemingly non-stop price hikes, sales prices will stay high, but relatively stable. As for interest rates—which the Fed finally raised in December after months of speculation—don't expect them to have a huge impact on the market here in NYC. Miller notes that while a rise in rates will usually give price-conscious buyers pause for "a quarter or two," rates are still at near-historic lows, which creates "a real estate of urgency" for buyers to get in while financing is cheap, according to Realtor.com chief economist Jonathan Smoke. In what seems to be a never-ending game of chicken between landlords and the city's beleaguered renters, concessions were on the rise all year in 2016, with some buildings offering as much as three or four months' worth of free rent to lure in new residents. Rents, however, have yet to really drop. And the same frustrating dynamic is likely to continue into the new year. "It's a wait-and-see issue that has been going on for a while," says Citi Habitats president Gary Malin. "Incomes are not rising fast enough, and for the tenant population, prices have just been escalating and escalating and escalating." And with a rush of high-priced new development rentals that all came on the market last year, tenants in that price range now have too many options to choose from, and landlords are stepping up their efforts to woo them. "Owners are very slow at first to adapt, and reducing rent is typically a last resort," says Malin. "It's a matter of having a white-hot rental market for a very long time, then a tremendous amount of inventory that is about to come to the market over the next 18 months," adds David Maundrell of Citi Habitats. While some owners may cave and finally drop prices if things don't pick up after the winter slow season, either way, says Maundrell, "it will continue to be a renter's market for the foreseeable future. There's going to be a lot of opportunity for renters and some people to move into some really nice buildings at a fraction of the price of where they are today." This is particularly true in development-heavy areas like downtown Brooklyn, Long Island City, and the Hudson Yards area. But again, "a fraction of the price" might refer to the net effective rent once concessions are factored in, rather than any actual loweing of prices for apartments in high-profile buildings. As for renters at the middle and lower range of the price spectrum, they shouldn't expect much thrown their way when it comes to free rent or other deal-sweeteners. "The rental market is very polarized," says Miller. "The upper third of the market is saturated with supply with more in the pipeline, while there are chronic shortages in the entry and middle level." And while renters in those middle- to lower-price ranges likely won't see the dramatic price hikes that have become all too common in the past few years, they also shouldn't expect much in the way of relief. 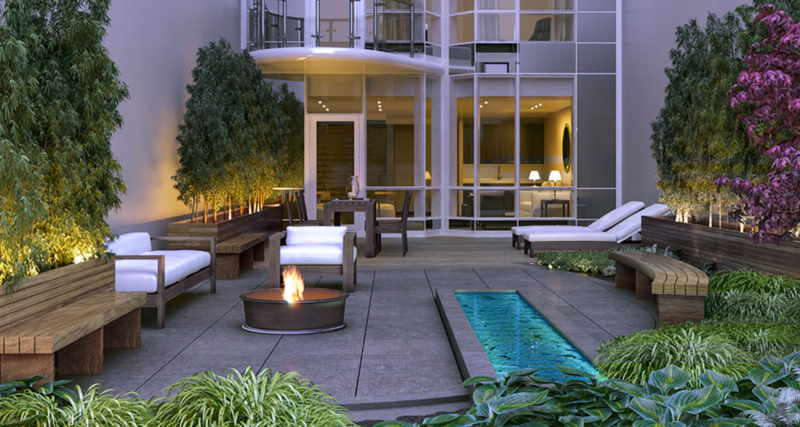 Even if the struggling high end of the market starts to bring prices back down to more reasonable levels—and that's a big "if"—they'll still be out of reach for most renters who weren't looking in luxury developments to begin with. The MTA finally checked the century-long Second Avenue subway project off its to-do list at the start of this year, but there are plenty of major projects still in the works, along with all the accompanying controversy we've come to expect. At the moment, most multi-families on the market run from $1 million to $2 million or so in Bushwick, and anywhere from $2 million to $4.5 million around Williamsburg and East Williamsburg, but keep an eye out to see if that changes (or if price reductions start to run rampant). On the other hand, Erik Serras of Ideal Properties tells us, "I haven't really seen any change whatsoever in Williamsburg, and nothing to do with the L train." While market conditions are cooling down somewhat across the city, he says, the "L train effect" may be overblown. "I don't see anyone running for the doors," he adds. "The city is doing a reasonable job of quelching fears that might exist—adding shuttle buses, expanding JMZ service, adding more cars to the G train." There's been a spike in interest along the JMZ line, which runs parallel to the L further south, and while some developers are already speculating in the area, Maundrell says that prices and demand won't really heat up until 2018, when renters start to get serious about moving away from the L before it stops running. There's also the pie-in-the-sky plan for an East River gondola, of which Maundrell says: "In theory, would it be very cool? Sure. I don't think it's going to happen, but you never know these days." Back on street level, there's the BQX streetcar, which would connect huge swaths of Queens and Brooklyn, but is already getting pushback from locals who say that it's both unnecessary and a likely catalyst for gentrification and hefty price hikes. 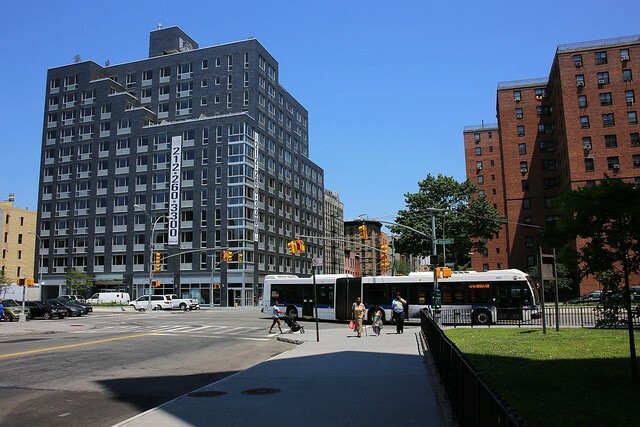 Developers, however, have taken quite a shine to the idea, donating cash to the mayor's nonprofit campaign in a bid to drum up support, according to the New York Daily News, and suggesting plans that would create streetcar stops outside of major new developments in otherwise transit-deficient parts of areas like Williamsburg and DUMBO. 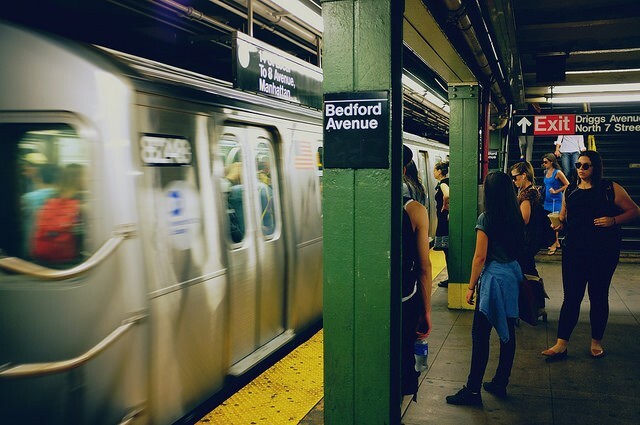 With so many proposed changes to the city's mass transit system, expect all things MTA-related to be a big topic of conversation in the coming year. As for the area around the finally-finished Second Avenue subway? 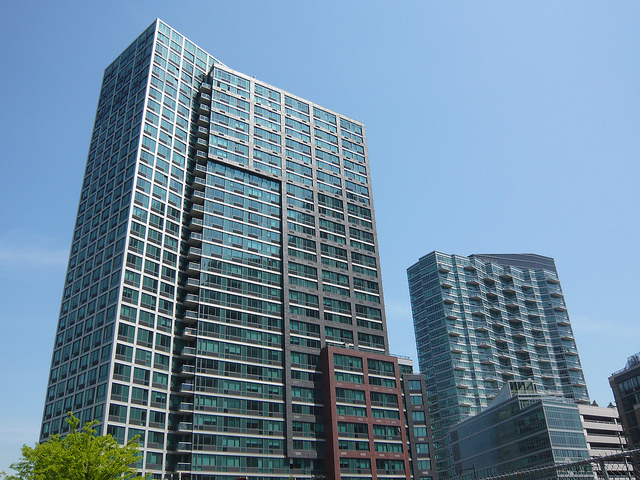 "There's definitely upside [to the area's real estate market]," says Perlson. "I think recent sales have already sort of built in the cost of the new subway, but you're certainly going to see higher prices on rentals, and empty storefronts have started to fill in." Besides our rocky political climate nationally, the election of Donald Trump is already having some very concrete effects on his hometown. This is particularly true in Midtown East near Trump Tower, where he continues to spend a great deal of time (and Melania plans to stay with their son until the end of the school year at least), and where traffic on the surrounding blocks has become a snarled nightmare of police and security barriers. "I feel bad for the businesses that are located on Fifth Avenue between 60th and 55th or 54th, it's just a mess of traffic," says Stephen Kliegerman of Halstead Property Development Marketing. 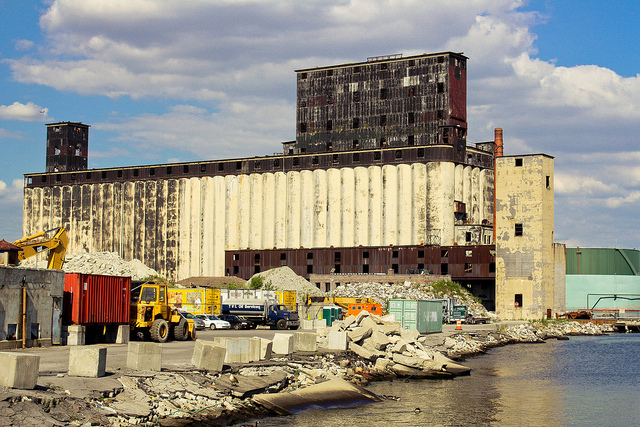 "The city is going to have to figure something out." However, as far as housing prices in the area, "it's not a very residential neighborhood, I don't think it has a big impact," says Kliegerman. "Once [the security and traffic] becomes the norm, I feel like people are going to want to take advantage of the situation," adds Hoagland, noting that there's likely to be an influx of tourism to the neighborhood, though that would have more of an upside for retail business than residential real estate. One counterpoint:" I know there are a lot of people who are still sick to their stomach when they pass by a Trump building," says Perlson. "And the idea of living next to one and having to see those large gold letters every time you walk by is offensive. I wouldn’t be surprised if that had an impact, aside from the traffic and all that’s associated with having to deal with Donald Trump being in town." On a broader city-wide level, while new federal policies could have resounding negative effect on the city's affordable housing (more on that later), on the upper end of the market, the Trump years could potentially be a net positive. "When you look at what a Trump administration means, most people would agree that to the upper end of the income spectrum, it's going to be pretty good to be rich under Donald Trump," says Perlson. "So confidence in that part of the market will remain strong." "It's hard to predict, because nobody really knows where national policy is going, and how it's going to impact the market," says Paul Travis of development and consulting firm Washington Square Partners. "But there's a clear scenario where constraints could be taken off of the financial services industry." In other words, a potential removal of federal financial regulations could create an opportunity for bankers to line their pockets even further, in which case we could potentially see the Wall Street crowd loosen up their budgets and come back to the market in full force. "But whether that's really going to happen, or if it will happen soon enough to effect 2017," says Travis, is still very much up-in-the-air. As for foreign buyer activity, there hasn't been a dramatic shift since Trump's election, and last year's new restrictions on LLC buyers don't seem to have done much to keep international investors at bay, either. "Foreign investment in New York has always been a big deal, and now you're seeing foreign investment as 19 percent of all condo sales in the city," says developer David Amirian of the Amirian Group. 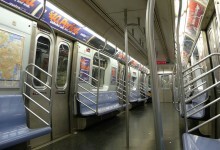 "In midtown Manhattan, the number is closer to 24 percent. I don't think it's going to stop." However, Amirian notes that most foreign buyers are still sticking with known quantities, namely high-rises in Midtown, the Upper East Side, and Soho, and in the case of Chinese buyers, Williamsburg and Flushing. "Foreign buyers go to the places that they know," he explains. 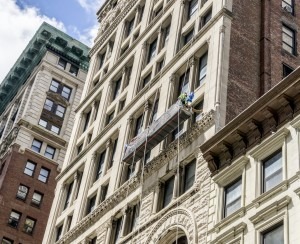 "I don't see foreign buyers coming to projects even in the Flatiron or the East Village." On a lighter note, amenity trends have a way of fluctuating year by year (see last year's porte-cochere craze, and in Brooklyn, the advent of stroller valets). This year, new amenities will be all about offering on-demand options. "You'll always have the core amenities like a gym and a doorman, but there are a lot of a la carte services coming on," says Halstead's Hunter Frick. "Things that are personally accessible like massage, personal training, parking." For instance, Frick cites TRN, a company that offers personal training, massage, yoga, and pilates on demand, and is already working in a few buildings around the city. There's also Dropcar, a valet parking service that is parterning with buildings that don't have garages, and Zeel, which will send a masseuse straight to your apartment. "It's person by person, so there's no additional cost to your monthlies," says Frick. "You just pay for the services you use." Creative kid spaces, tutoring areas, and "tween" rooms will continue to be big, as well—"Families are staying in the city more, and a lot of developers are catering to them," notes Frick—and in buildings with garages, expect more accommodations for the environmentally friendly electric car. "I've seen a lot of clients really bullish on electric car charging stations," he says. "It's been a growing trend for a while, and is now becoming more standard." 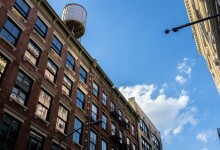 After spending a year in limbo (and as a victim of the tiresome Cuomo-de Blasio feud), an updated version of the controversial 421a tax abatement is expected to be reinstated this year. Reactions, as ever, are mixed. Many in the affordable housing community are still unimpressed with the program, which they say creates a minimal amount of affordable units, while bringing up prices and changing the character in the surrounding neighborhood. 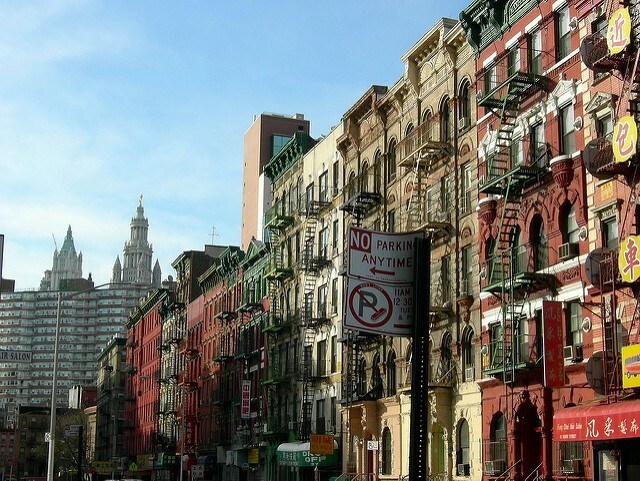 "We should end the connection where the only way you can get affordable housing is allowing so much luxury housing to be built," says Andrew Berman of the Greenwich Village Society for Historic Preservation. "In any neighborhood, nobody really likes that model as a way of bringing in new developments and bringing in socioeconomic diversity." Adds Rob Solano of Churches United for Fair Housing, "We're in the camp that we want affordable housing, we're pro development, but the program has to be significantly better and more aggressive. There needs to be a higher ratio of affordable units, and for lower income levels." The set income levels for subsidized rentals in 80/20 buildings are based on a metric known as Area Median Income (or AMI), but often, the AMI percentages set for new buildings are set at a level that even the affordable units are out of reach for longtime area residents. "The AMIs are way too high right now," says Solano. "We think it's important to help the middle class—people making 60 to 70 percent of AMI—but there has to be a shift to lower AMIs, too, even though it's more expensive to subsidize. People making 20 to 30 percent of AMI shouldn't be told that they have to just apply for NYCHA. That's not the answer, and with a 10-year waiting list, that's how people end up homeless." Trump's effect on the affordable housing world is also an open question, with broad concerns already swirling that as Housing Secretary, Ben Carson will slash funding for already-struggling programs like NYCHA and Section 8 vouchers. "I think the biggest story in this area will be how Trump is going to impact affordable housing," says affordable housing developer Heidi Burkhart. "With the corporate tax rate going lower, people aren't necessarily needing low income tax credits as much as they have in the past. That's going to be a huge impact on the industry." While Burkhart says she's "optimistic" that Trump will be favorable to the kind of development that generates middle-income housing, she says, "My biggest concern is what happens to the tax credit program and how that can be reinvented to include other income levels." In other words, while it's a scary time for affordable housing across the board, things could get particularly rocky when it comes to funding housing options for the poorest New Yorkers. Elsewhere, on the buy side of affordable housing, the city's proposed new rules further restricting income levels and sale prices in HDFC co-ops are drawing ire from the buildings' board members and residents, who say the change in regulation takes away their autonomy to run their own buildings, since one of the new requirements would be oversight from a third-party monitor. Expect this battle to continue well into the new year. As the debate over new development, and its role in affordable housing, rages on, expect plenty of clashses over rezonings over the coming year. A proposed overhaul of Red Hook (complete with added new subway service) will also be a hot topic in 2017, and Bronx Borough president Ruben Diaz Jr. tells us that local officials are in talks with the city over a potentially "transformative" rezoning of the Jerome Avenue corridor between 167th and 184th, which has the potential to add 4,000 new housing units to the area. This will also be a year to suss out the success of rezoned neighborhoods, such as the massive Hudson Yards project on Manhattan's west side. "One story that will be unfolding this year is how successful the residential development in that area is, followed by the commercial and retail," says Kliegerman. 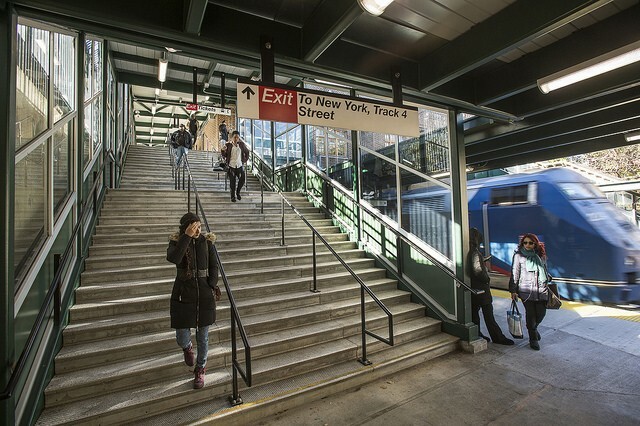 "We'll see if it enhances the far west side, and if that extends into other areas down into the 30s between Hudson Yards and, say, Seventh or Eighth Avenue. There should be more crosstown pedestrian traffic, which could mean more shops and bars and restaurants." While no one's saying the tides will be turning against Brooklyn any time soon, it does seem that after years of gangbusters growth, demand and prices in the borough have, to a degree, leveled off. Between a flood of high-priced new rentals (the same ones that are now having to offer tons of concessions) and sky-high sales prices almost everywhere, budget-minded New Yorkers are rightly turning their attentions elsewhere. "Upper Manhattan started heating up when Brooklyn got so expensive, and it's especially busy now, with what's happening with Williamsburg and the L train," says Hoagland. "The Upper East Side started to look more attractive, and areas farther north [like Harlem, Washington Heights, and Inwood] are cheaper than Brooklyn, and have the bonus of still being in Manhattan." As such, she notes, investors both domestic and foreign are starting to turn their attentions uptown, which means that Harlem condo prices will likely continue their recent rise. "The Bronx has seen over $10.5 billion in investment in the last seven years, and 25,000 new units of housing and counting," Diaz tells us. "We've been able to restore green spaces, build our infrastructure, and cut unemployment in half." There are also more infrastructure projects in the works in the borough, including the Hutch Metro Center, and new Metro North stations, all of which will likely continue to attract new residents and developers. And while South Bronx neighborhoods like Mott Haven have gotten particularly close attention, Diaz notes that development has been spread all over the borough, but adds a caveat: "I would say that if you're just an investor or developer coming to the Bronx to get the most bang for your buck and square footage," as opposed to calling the borough home and getting to know the existing culture of your new neighborhood, "it's not the place for you." Meaning, then, that Bronx residents and elected officials alike are understandably wary of their borough's character undergoing a Brooklyn-like total transformation. "A key trend we're focusing on in 2017 is the emergence of the first-time or millennial buyer, and as a result, the highest growth areas tend to be more affordable places," says Smoke. "Brooklyn is more similar to Manhattan now, and therefore Queens has been on a stronger growth trajectory than the more expensive parts of the market." While Maundrell predicts continued growth in certain Brooklyn neighborhoods like Crown Heights, Flatbush, and Prospect Lefferts Gardens, citywide, he says, "I think there's been a change. The time has come where people are saying, 'I don't want to spend 50 percent of my take-home pay on rent,' and they'll look at other neighborhoods where they can save money." 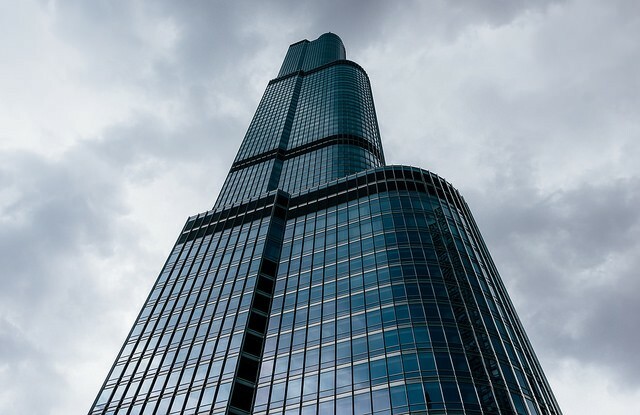 Is the presence of Secret Service agents at Trump Tower really an amenity?